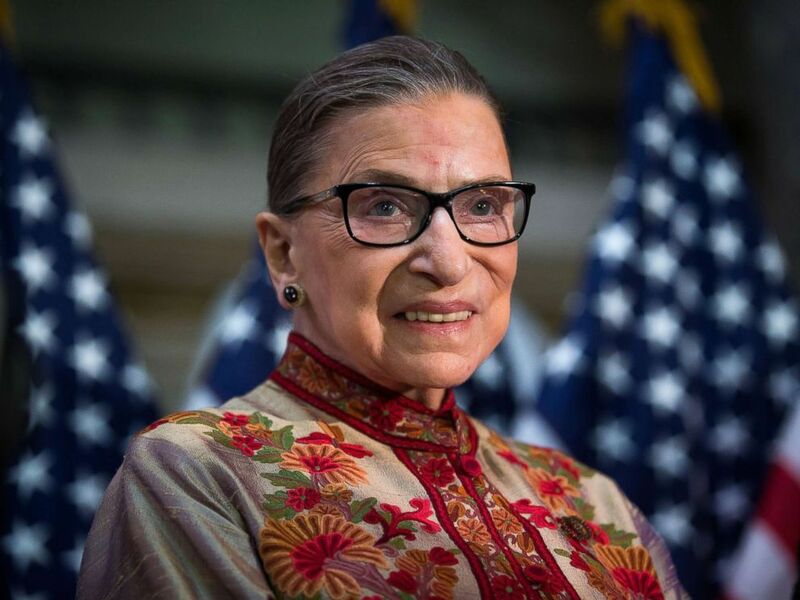 Supreme Court Justice Ruth Bader Ginsburg was discharged from the hospital Friday after suffering three fractured ribs after falling in her office at the court earlier in the week. "She is doing well and plans to work from home today," Kathleen L. Arberg, a spokeswoman for the Supreme Court said in a statement. Ginsburg is one of four liberal-leaning judges, including Justices Stephen G. Breyer, Sonia Sotomayor and Elena Kagan. With the recent addition of Justice Brett Kavanaugh, President Donald Trump's embattled Supreme Court pick who faced sexual assault allegations during his nomination process, they are the minority on the court. The president and first lady Melania Trump attended a pre-scheduled meet-and-greet with Supreme Court justices Thursday morning, followed by the investiture ceremony for Kavanaugh. 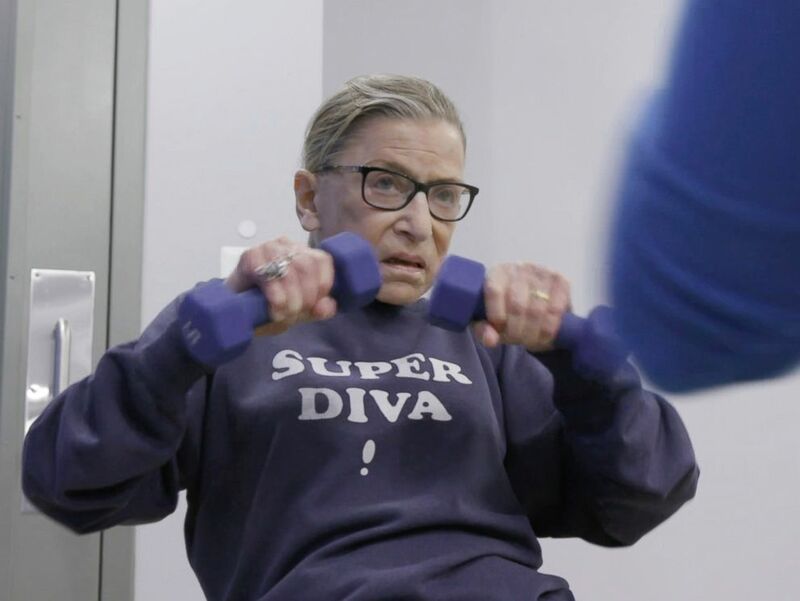 Ginsburg has developed a reputation for her toughness and strength, both because of her rigorous personal training sessions in the Supreme Court exercise room, and because of the strides she's made for gender equality in the workplace. This image released by Magnolia Pictures shows U.S. Supreme Court justice Ruth Bader Ginsburg in a scene from "RBG." She was one of nine women in her class at Harvard Law School, the first woman to be a tenured professor at Columbia University Law School and the co-founder of the Women's Rights Project at the ACLU, a group she started in order to fight for equal treatment for both genders. "The Project was so integral in establishing the principle of equal rights," said Mary Heen, who worked at the Women's Rights Project in the 1980s, in a tribute to the group by the ACLU. Leading this project, Ginsburg successfully argued six landmark cases before the Supreme Court. In 1980, she was appointed to the U.S. Court of Appeals for the D.C. Circuit, and in 1993, she was nominated by former President Bill Clinton to the Supreme Court. She became the second woman to ever serve on the highest court in the land. Justice Ruth Bader Ginsburg poses for a portrait on Capitol Hill in Washington, March 18, 2015. Ginsburg has yet to miss a day of oral arguments, according to the law project Oyez from Cornell University and Chicago-Kent College of Law -- not while undergoing chemotherapy for pancreatic cancer, recovering from surgery for colon cancer, or the day after her husband died in 2010. It's also not the first time Ginsburg has endured a rib injury. 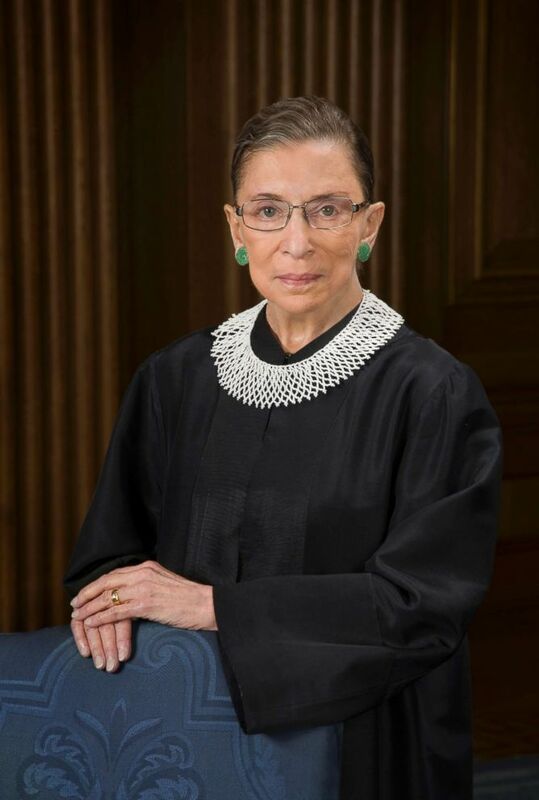 She broke two ribs in June of 2012, when Ginsburg was 79, but continued to work after the incident. Rib fractures, a common but painful injury in the elderly community, generally heal in approximately eight to 10 weeks, according to Dr. David Forsh, the chief of orthopedic trauma for the Mount Sinai Health System in New York. The injury can make it difficult to breathe, and can potentially lead to further complications like a collapsed lung or an increased risk of pneumonia, said Dr. Robert Glatter, an emergency physician at Lenox Hill Hospital, which is also in New York City. Treatment usually involves pain medication and keeping a watchful eye over symptoms. Speaking to reporters on the White House lawn as the news of Ginsburg's fall broke, White House counselor Kellyanne Conway wished Ginsburg a "full and speedy recovery." "We are praying for her and we know how tough she is. I’ve known her for many, many years," Conway said.